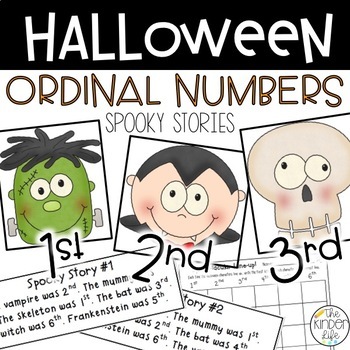 Looking for fun ways to practice ordinal numbers? 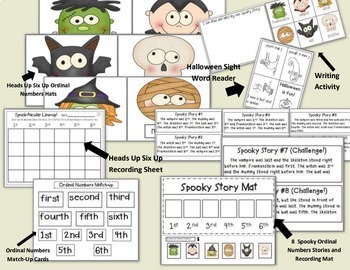 Grab this spooky and fun ordinal numbers math pack full of engaging spooky stories to solve, ordinal number game, and match up cards. 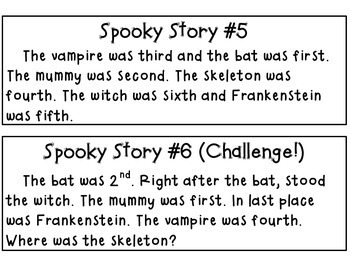 Plus a couple other Halloween goodies. 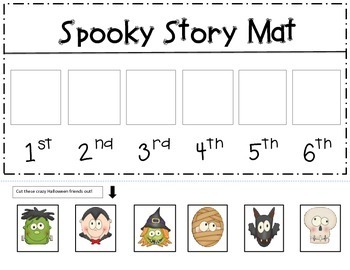 Spook-tacular Line-up Activity Use the characters as hats or punch a hole in them and put them on string. Please ask any and all questions before purchasing.